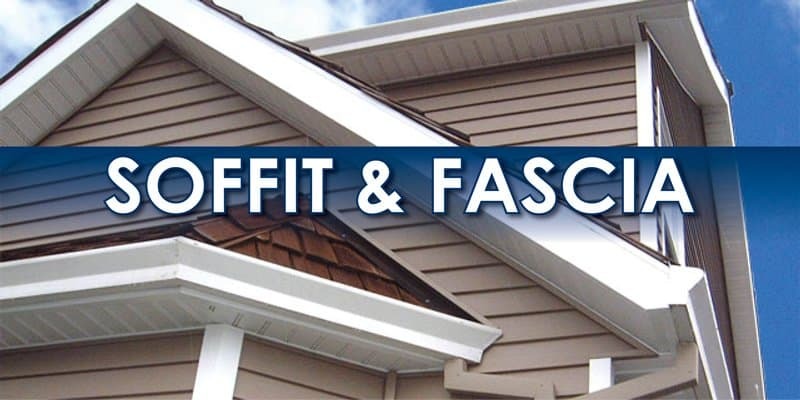 Soffits provide protection to the edges of your roof and help attic ventilation, making your roof last longer and preventing extremely expensive damage. While the most common material for a soffit is vinyl, they come in a variety of materials. Some of the other choices include aluminum, fiber cement board, wood, and steel. Soffits come in a wide variety of different styles and materials, but they all serve the same function. Soffits serve to protect your rafters from the elements. If your rafters are not protected then the structural integrity of your whole roof could deteriorate over time with rain or snow. Another important function of soffits are to to help regulate attic space temperature. Most soffits are either perforated or have sizable vents in them. This ventilation regulates and lowers your home’s energy bill. If your attic was completely sealed, in the summer all the hot air would stay in your attic making you sweat in your home, thus increasing your cooling bill. In the winter, the heat in your home and the cold air in the attic would condensate and cause mold and moisture in your attic.